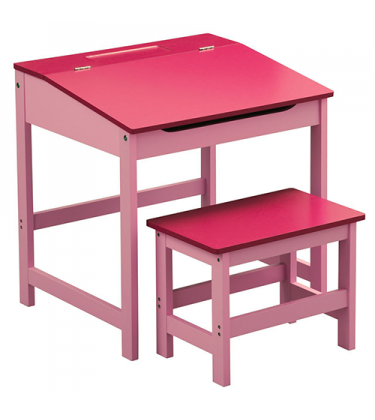 Fun design for your child's bedroom or playroom. 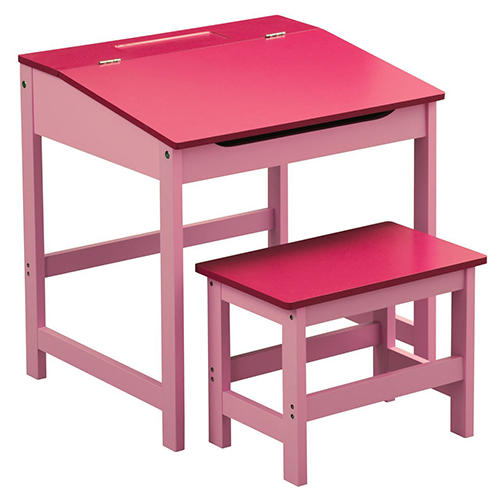 It features a hinged lid on the desk to provide additional storage and the stool fits under the desk. Strong and durable.